KRCL Recruitment 2019: Konkan Railway Corporation Ltd. / www.konkanrailway.com is conducting recruitment processes to fill 2 vacancies. As of now, there is one recruitment drive going on for Assistant Security Commissioner Posts. KRCL Recruitment 2019 - Job notification for Assistant Security Commissioner Posts in KRCL, Belapur, Maharashtra on Deputation Basis. Applications are invited by Konkan Railway Corporation Ltd. on or before 14 May 2019 for 2 vacancies. KRCL Recruitment 2019 - Job notification for Dy. CEE Posts in KRCL, Jammu & Kashmir on Re-employment. Applications are invited by Konkan Railway Corporation Ltd. on or before 25 Mar 2019 till 05:30 PM for 3 vacancies. 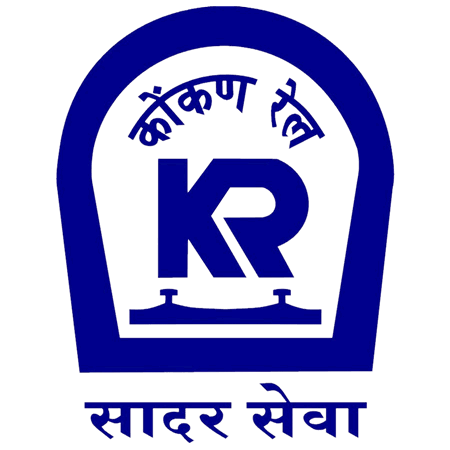 KRCL Recruitment 2019 - Job notification for Chief Project Manager Post in KRCL, Konkan, Maharashtra on Re-employment. Applications are invited by Konkan Railway Corporation Ltd. on or before 09 Mar 2019 for 1 vacancy. KRCL Recruitment 2019 - Job notification for Deputy Chief Electrical Engineer Posts in Jammu & Kashmir on Deputation Basis. Applications are invited by Konkan Railway Corporation Ltd. within 21 days from the date of issue for 2 vacancies. KRCL Recruitment 2019 - Job notification for Chief Electrical Engineer Post in KRCL, Jammu & Kashmir on Deputation Basis. Applications are invited by Konkan Railway Corporation Ltd. on or before 21 Mar 2019 for 1 vacancy. KRCL Recruitment 2019 - Job notification for CEE Post in KRCL, Navi Mumbai on Deputation Basis. Applications are invited by KRCL on or before 21 Mar 2019 for 1 vacancy. KRCL Recruitment 2018 - Job notification for Chief Electrical Engineer Post in KRCL, Jammu & Kashmir on Deputation Basis. Applications are invited by Konkan Railway Corporation Ltd. on or before 02 Jan 2019 for 1 vacancy. KRCL Recruitment 2018 - Apply Online for Deputy Chief Engineer/ Project Post in KRCL. Online Applications are invited by Konkan Railway Corporation Ltd. from 15 Nov 2018 to 06 Dec 2018 for 1 vacancy. KRCL Recruitment 2018 - Walk in for 37 Sr & Jr Technical Assistant Posts in KRCL, Jammu & Kashmir on Fixed Term Basis. Candidates are invited by Konkan Railway Corporation Ltd. to attend walk-in-interview to be held on 12 Dec 2018 for 37 vacancies. KRCL Recruitment 2018 - Job notification for CSTE Post in Jammu & Kashmir on Re-employment Basis. Applications are invited by Konkan Railway Corporation Ltd. on or before 19 Nov 2018 till 05:30 PM for 1 vacancy.